Dr Andrea Gordon is the Programme Director for the West Midlands Cancer Alliance. 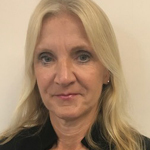 She has held the post since September 2018 following roles working with NHS trusts in the Black Country and at University Hospitals Birmingham NHS Foundation Trust. Prior to this she worked in regulation for over fifteen years, more latterly as Deputy Chief Inspector of Hospitals for the Care Quality Commission. The West Midlands Cancer Alliance has an ambitious transformation programme that spans from early diagnosis to living with and beyond cancer. In order to make a difference; improve services, responsiveness and outcomes, the team has to work with a range of stakeholders to include patients, charities, regulators and NHS trusts and colleagues in primary care.